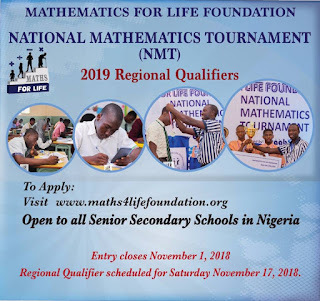 Apply for the Mathematics for Life Foundation National Mathematics Tournament [NMT] 2019 Regional Qualifiers Competition, See Eligibility and Application Guidelines. Do you have what it takes to be a Mathematics Champion? Application opens for the Regional Qualifiers of the 2019 National Mathematics Tournament. Which School will claim the first prize at the finals in January, 2019? The race starts by registering the school now. Competitions is open to all Secondary Schools in Nigeria. 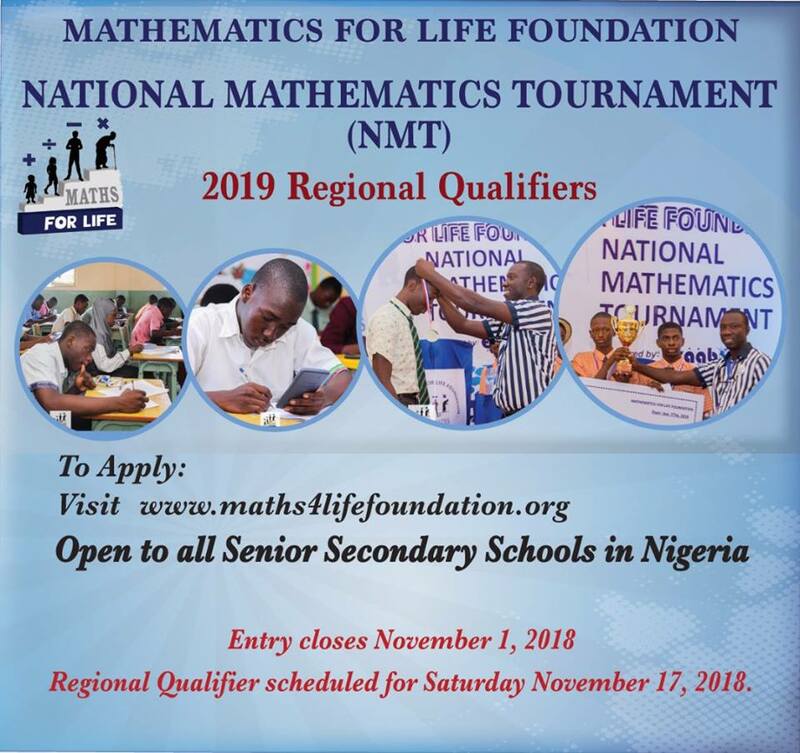 Click on the 2019 National Mathematics Tournament (NMT) Regional Qualifiers Registration link to begin online registration. Regional Qualifier scheduled for Saturday 17th November, 2018.